It might be hard to spot whistling frogs, but it isn’t difficult to hear them! They are active at night and may be spotted hunting on walls or window panes. During the day they can be found in cool, shady spots, like under mossy rocks. 1. Two species of tree frogs could originally be found in Bermuda. Though visually they are difficult to distinguish, they can be distinguished easily by their calls. While E. johnstonii makes the loud “gleep gleep” call, E. gossei makes a single note, “tew tew tew” call. 2. Both species of whistling frog were introduced, and are thought to have been brought to Bermuda in the 1880’s-1890s as hitchhikers on imported plants. 3. E. gossei has not been seen in recent years, and has most likely been out-competed by E. johnstonii. 4. Whistling frogs are beneficial to gardens, eating pest species such as ants and aphids. 5. They thrive in disturbed habitats, such as mowed lawns and gardens, making them extremely adaptable. 6. Like all amphibians, whistling frogs have permeable skin, which must be kept wet in order for them to breathe. 7. 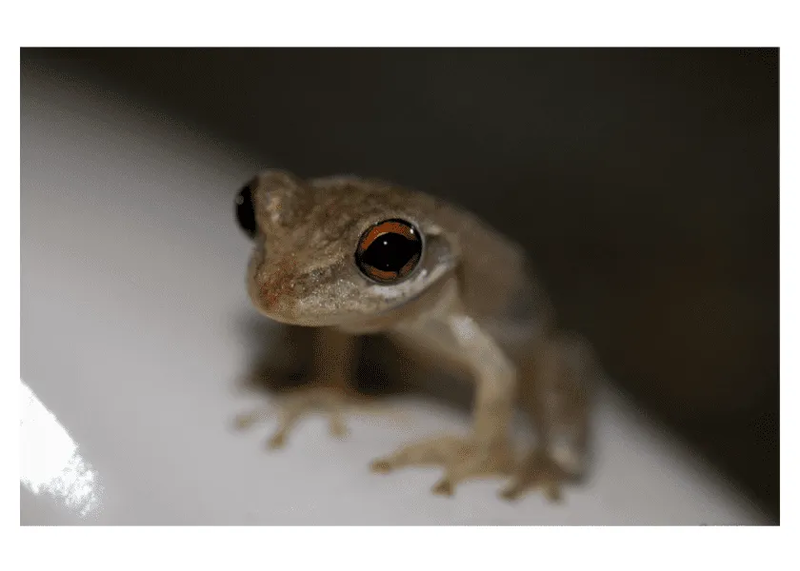 In Bermuda, Dr. Jamie Bacon has observed that amphibians such as toads and whistling frogs were exhibiting adverse effects, including mutations, due to heavy metals and pesticides in the environment.